1. 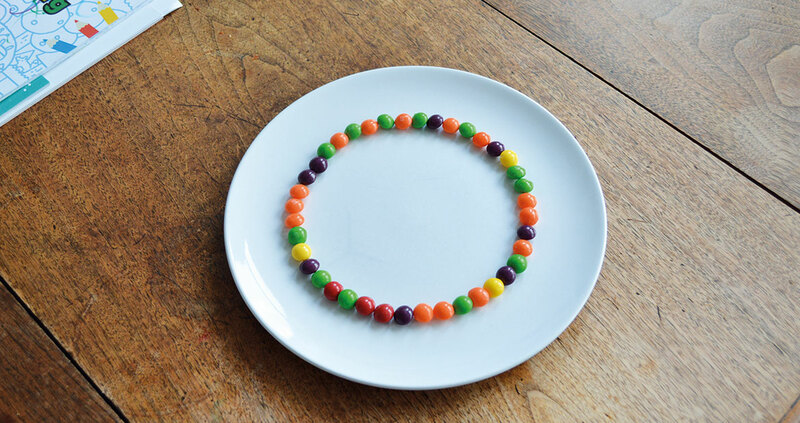 Arrange the Skittles around a bowl on your plate. 2. 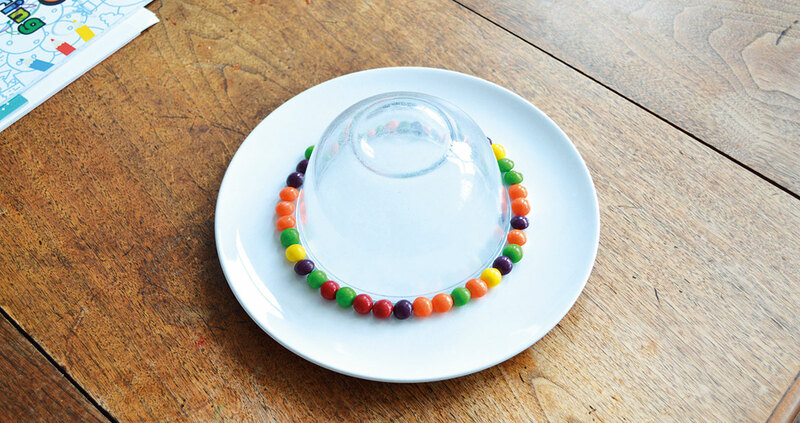 Carefully remove the bowl. 3. 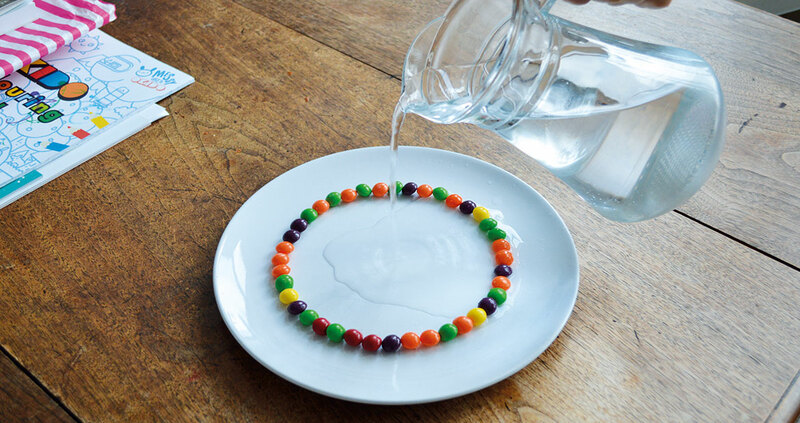 Pour some water into the circle until it touches the skittles. 4. 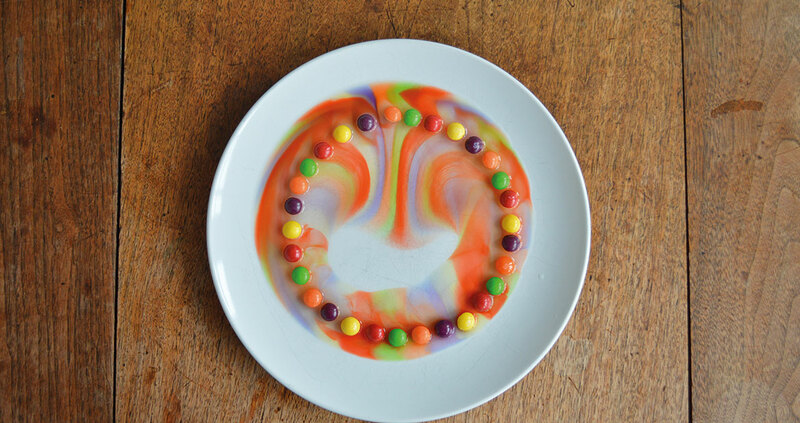 Quickly the colour of the Skittles will dissolve in the water. 5. 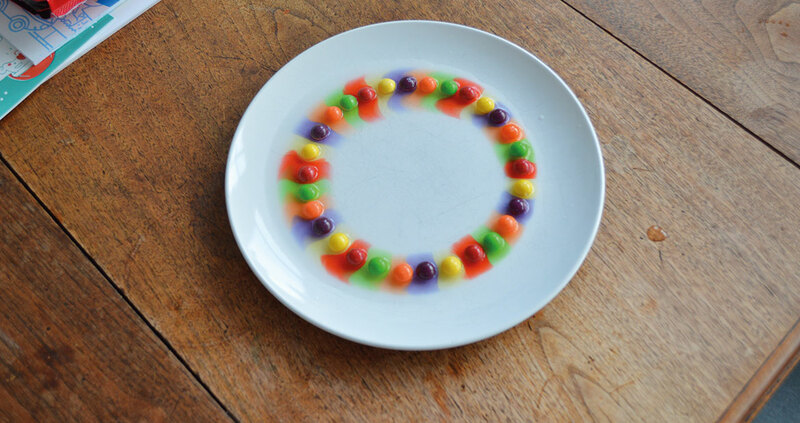 Look at all the colour diffusing in the water! Enjoy the show!